My discovery of the week: hearing is a crucial sense. A novel needs a soundtrack just as much as any movie does. I’ve always known that the sense of smell is important when I imagine the worlds of my novels. But I’d never previously thought much about sound, though I savour it enormously in other people’s writing. (There may even be another blog on that!) I think I did put it in, mostly. Well, a bit. And not just conversation, either. This entry was posted in inspiration, the senses, writing and tagged Jean Fullerton, Laurie R King, workshops, writing tips on 29th April 2018 by Sophie. The first thing my agent ever said to me was, “Readers hate first person narrative.” I had sent her a thrilling escape-from-the-bad-guys romantic suspense set in Greece under the Colonels. And, yes, it was told in the first person. Still she’d read the thing. And then taken me to lunch. So I nodded politely and murmured that it seemed to have worked all right for Jonathan Swift, Charles Dickens, P G Wodehouse and Mary Stewart. “Yes, but they’re great,” she said impatiently. This entry was posted in Sophie's books, writing craft and tagged Charles Dickens, first person, Jonathan Swift, Mary Stewart, P G Wodehouse, Stephen King, The Importance of Being Earnest, workshops on 4th March 2018 by Sophie. By pure serendipity, this last week has turned out to be all about editing. It wasn’t supposed to happen. I had finished the substantial edits needed on my new book, The Prince’s Bride. I felt they made the story hugely better. The publisher’s editor accepted them. The book went up on Amazon for pre-order. It should all have been done and dusted. This entry was posted in editors and editing, writing craft and tagged Anthony Horowitz, editing, Julie Cohen, readers, workshops, writing tips on 17th September 2017 by Sophie. About 70 people attended. That’s a lot — we normally limit our workshop numbers to 12! Our topic was editing to add Sparkle to our writing in order to hook and hold readers. Since we only had an hour, rather than our normal 2 full days, it was more of a twinkle. But it was fun. And we hope that those who attended found it useful. We certainly did. It taught us some salutary lessons which I’ll share in a moment. This entry was posted in just for fun, workshops and tagged conference, editing, joke, panther, RNA, sparkle, workshops on 23rd July 2017 by Joanna. 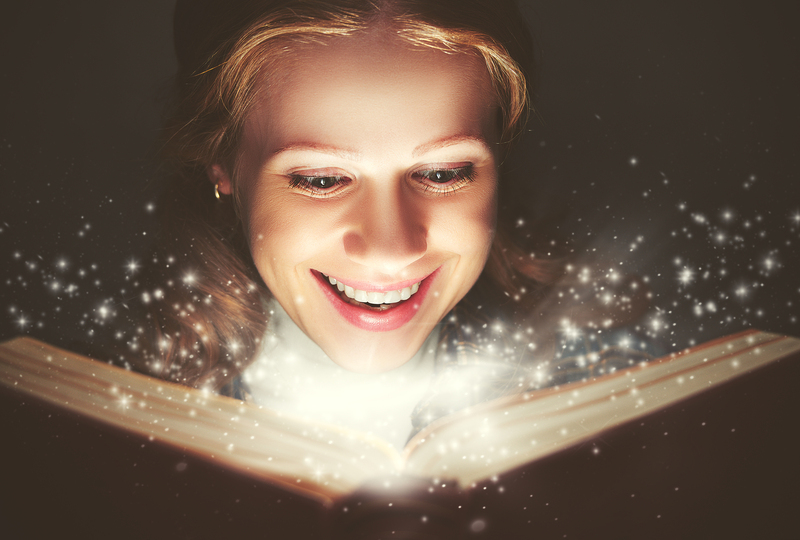 A dozen published and aspiring authors attended the HOOK & HOLD (Sparkle1) full-day workshop in London on 17th June and they loved it! 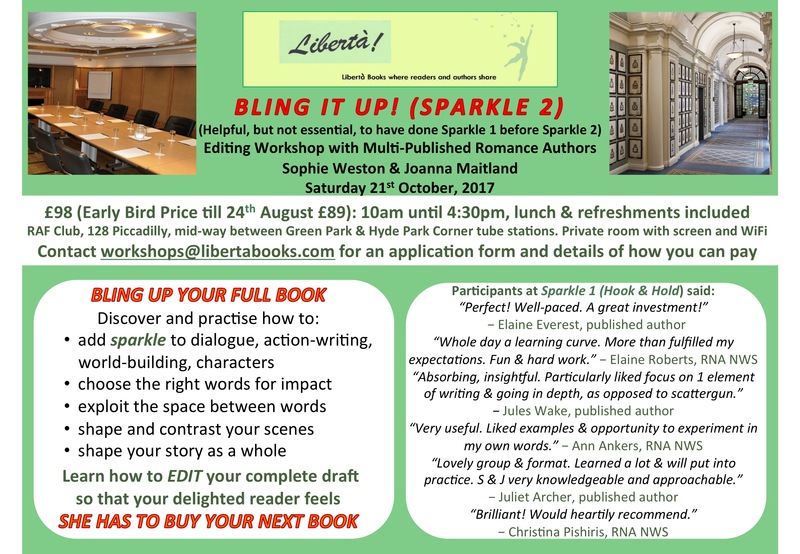 Sparkle2 — BLING IT UP! — will be held in London on Saturday 21st October. the Romantic Novelists’ Association Conference on The Romantic Scene. Our participants were enthusiastic, completely engaged. They enjoyed it and talked about it for ages afterwards. Yet it had been one of the most thought-provoking tasks I’ve ever tackled. This entry was posted in writing and tagged conference, connecting with readers, Keeper Shelf, RNA, The Romantic Scene, workshops, writers on writing, writing tips on 16th October 2016 by Sophie. If the Libertà hive ever needs a household god, we may well plump for the Roman Janus, god of beginnings and transitions. 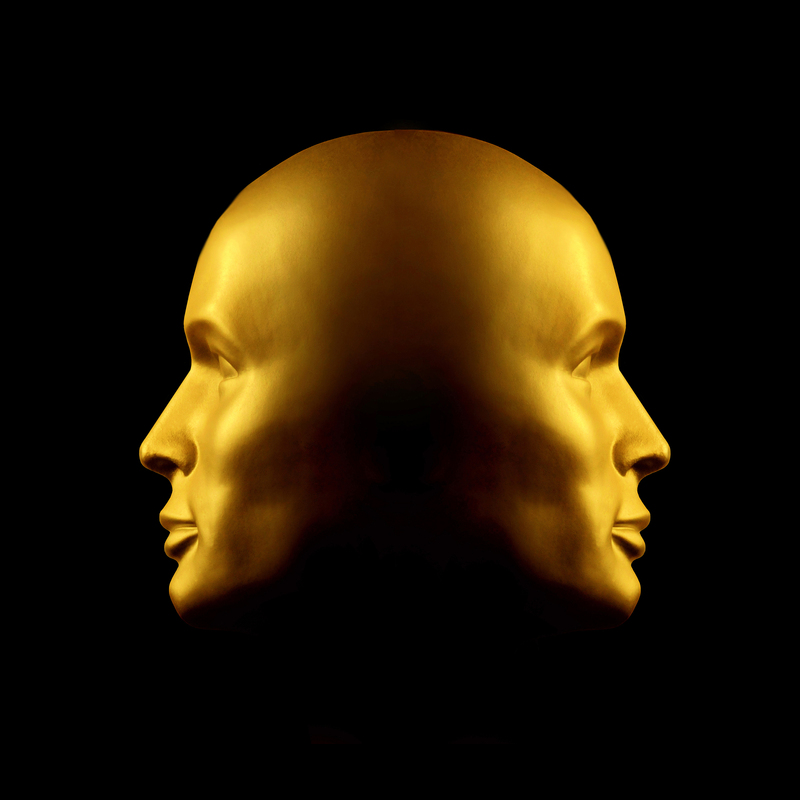 Janus usually appears with two heads. That means he not only tells you where you are, he can tell you where you’ve been, too. 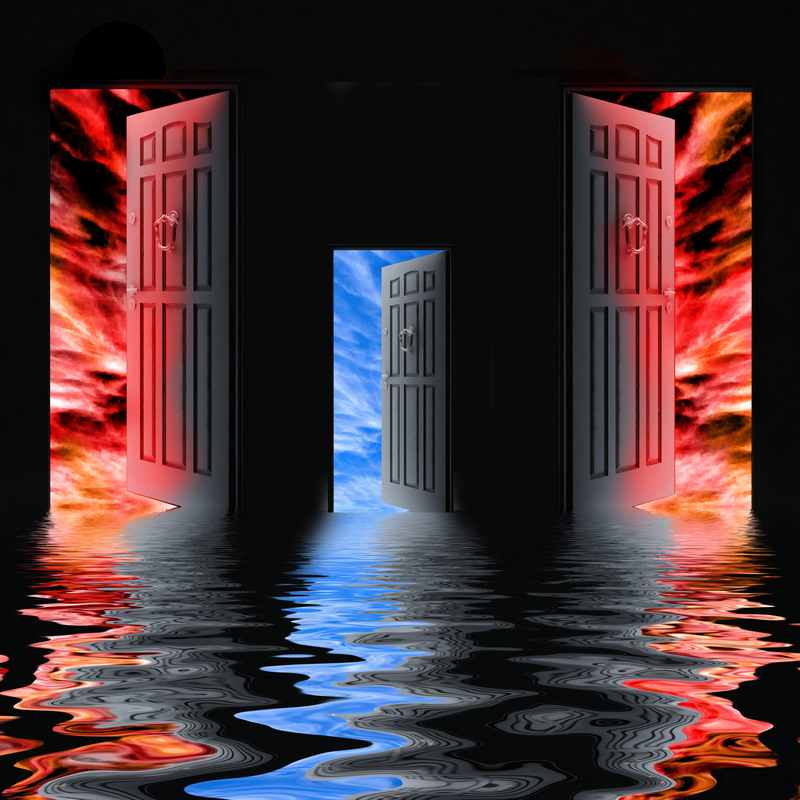 Janus is also the god of gates, doorways, passages and endings, the sort of god who is useful for showing you, and us, the way. 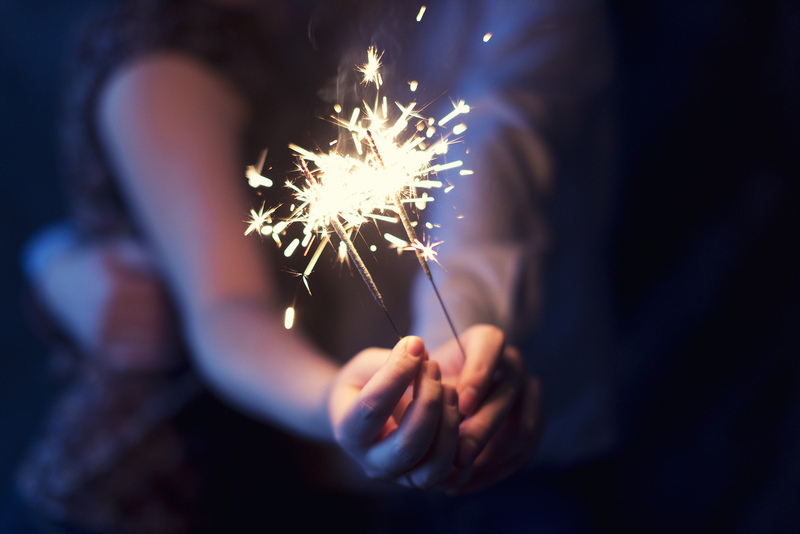 This entry was posted in Libertà news and tagged beginnings middles endings, Favourite authors, Forgotten authors, household gods, Janus, Libertà hive, Libertà launch, Love Letters to a Favourite Novel, New Year, readers, RNA, workshops, writers on 3rd January 2016 by Joanna.